Islamists Make Sufi Shrines A Target In North Africa : The Two-Way Sufi Islam is a small sect that is not politically active. And yet Sufi shrines have been repeatedly targeted by radical groups during upheavals in North Africa and elsewhere. 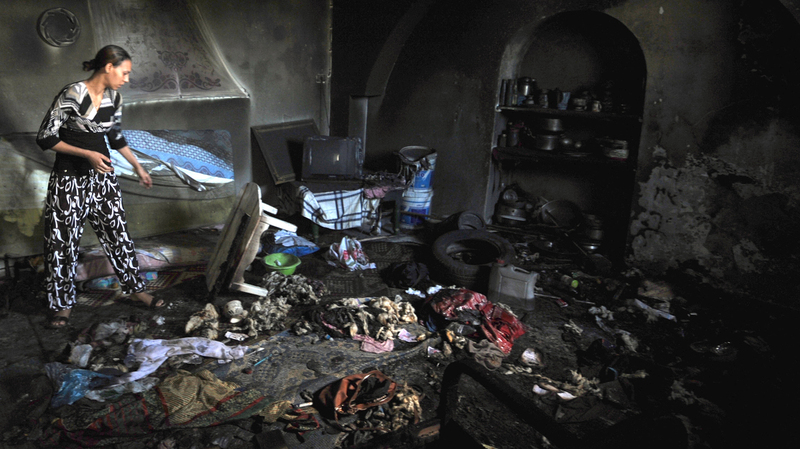 A woman tries to salvage items from a burnt out Sufi shrine outside the Tunisian capital, Tunis, last October. Hard-line Islamists, known as Salafists, have attacked many Sufi shrines in Tunisia recently. When radical Islamists lash out at cultural sites they consider un-Islamic, a frequent target is Sufi Islam shrines. Islamists in Tunisia have attacked almost 40 Sufi shrines in recent months, Sufi officials told AFP. And Islamists destroyed several Sufi tombs in the fabled city of Timbuktu in Mali, a place with a long Sufi tradition that is known as the City of 333 Saints, as The New York Times reported. So why are the Islamists picking on the Sufis? The Sufis are a relatively small sect of Islam that have historically remained apolitical. They are spread over a vast geographic area that stretches from western Africa across the Middle East and South Asia and all the way to China and Indonesia. They are perhaps best known for their embrace of mysticism, a spirit of tolerance and for building shrines to Sufi saints. This latter practice, in particular, is seen as idolatry to Muslims who practice a more rigid and puritanical form of Islam, including Salafists and Wahhabis. Sufis as a group are not playing leading roles in any of the recent upheavals in the Arab world, but their shrines make convenient targets for some of the hard-line groups that are. "Shrines for Sufis are everywhere, it's the mainstream," says Ed Husain of the Council on Foreign Relations. "The only place they're missing or are destroyed is in the Gulf. There isn't a town from Yemen to Morocco to Indonesia without a significant Sufi shrine." 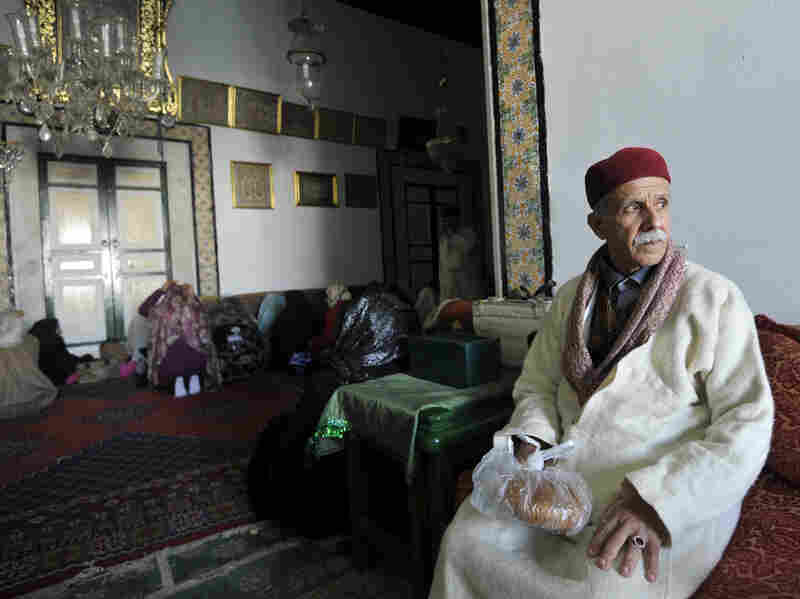 A Sufi man sits during his visit to a shrine in Tunis. Tunisia's government has promised emergency measures to protect Sufi Muslim mausoleums, which have been targeted by radical Islamist groups. "The Salafists can't declare war on ordinary Muslims and win, so they go after mosques and shrines instead," he adds. Many Sufis gather at these shrines for veneration, prayer and meditation. But for radical groups, attacking the shrines fits into their notion of destroying "symbols they consider ungodly, like freedom, democracy, parliament, a constitution," Husain says. Many of the attacks have taken place in north Africa in the past couple years in the wake of uprisings. In Libya last summer, a Sufi grave site in Tripoli was bulldozed, leading to the resignation of Libya's interior minister. But periodic attacks have been carried out elsewhere, including Pakistan, where dozens have been killed while visiting shrines.